Partners David Murphy and Brenda Tormis saw the need for safe, dependable transportation of elderly, disabled and medically challenged people to and from medical locations in the Northern Bay Area. Murphy Medical Transport began operating with one transport van and one client in Fairfield, CA. Murphy Medical Transportation Inc., was incorporated in June 2009. It now serves the communities in Solano, Napa, San Joaquin and Stanislaus Counties. Today, Murphy Medical Transport has almost 30 employees, and a fleet of 35 vehicles. Murphy Medical Transport provides wheelchair, ambulatory and gurney transports for individuals without the need for medical intervention. This includes door to door service to and from medical and dental appointments, medical treatments such as dialysis and physical therapy, and hospital discharge. We also provide clients with special needs transportation to personal events such as weddings, funerals and sporting events. We will also assist you with airport and cruise ship transportation for those requiring a little extra help. At Murphy Medical Transport, we recognize our Client Advocate Drivers as our greatest asset. They operate our red transport vans with reliability, dependability and trust, and consider these vans their “badge of honor” to the communities they serve. Murphy Medical Transport operates from three (3) primary facilities. Our main office is a 5,400 square ft. office/warehouse in Fairfield, California. We also have two satellite facilities, a 3,000 square ft. facility in Stockton, California and a 5,000 square ft. office/warehouse in Modesto, California. Each facility provides indoor parking for Murphy Medical Transport’s fleet of service vehicles. Murphy Medical Transport utilizes state of the art medical transportation equipment, such as Power Stair chairs, Power Lift Gurneys with a Power Load system and Hover Mattress patient movement systems. These devices ensure the safest, most comfortable transfer for our clients. David P. Murphy is the President and CEO of Murphy Medical Transportation Inc. Prior to Murphy Medical Transport, David served our country in the United States Marine Corps and was honorably discharged in 1983. 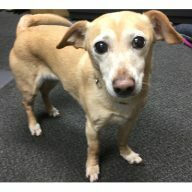 When the schedule is busy at Murphy Medical Transport you can find David serving as a Client Advocate/Driver ~ PR Specialist ~ Local Philanthropist ~ And All Around Good Guy …. When David is not hard at work his favorite pastime is the San Francisco Giants baseball. He takes in a game or two whenever the opportunity permits. Brenda Tormis is Vice President and Chief Operating Officer, as such she handles all day to day operations; scheduling pickups and returns of clients and scheduling Client Advocate Drivers and vans. 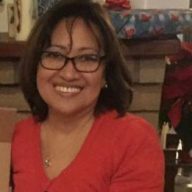 Brenda handles all contract negotiations and administering of relations with Kaiser Permanente, and other facilities and organizations. For several years prior to the inception of Murphy Medical Transport, Brenda served as Director of Nursing at a rehabilitation care facility and skilled nursing facility in Fairfield, CA, and has over 25 years of hands on patient care experience. Brenda earned her Bachelor of Nursing degree from the Cebu City Medical Center College of Nursing and her experience as a Director of Nursing has helped Murphy Medical Transport grow and expand in its eight years of operation. Brenda at times grabs a set of keys to operate a van and assist with pick-ups and returns of clients when the schedule is full. In her spare time, Brenda enjoys pilates and spends time in the gym, “getting the kinks out.” Brenda is also a San Francisco Giants fan and enjoys attending a game or two. Stephen Murphy is Vice President and Chief Advisor He has been a paramedic for over 40 years. His experience in the emergency medical services (EMS) community is extremely diverse. He has worked in both rural and urban settings. He has served as a flight paramedic in Colorado, as EMS supervisor and manager in the private ambulance sector and as an EMS educator. Stephen recently retired from West Pierce Fire and Rescue where he worked as a battalion chief/paramedic. He is also one of the primary partners in Murphy CME, a medical education and consulting firm. He continues to serve as an American Heart Association regional facility member for both ACLS and PALS. He has been actively involved in the continuing education of medical professionals, administrators and other educators for the past 35 years, and has had the privilege of being invited to speak at mini state national and international EMS conferences. Judy Murphy is Vice President and Senior Advisor. She has been a registered nurse for over 40 years, working in a variety of positions. Her clinical experience includes cardiac, critical care units and the emergency department. She has worked as a staff nurse, nurse manager, nurse administrator and as a consultant/educator for Group Health. Judy has recently retired as the assistant chief of EMS at Central Pierce Fire and Rescue in Tacoma Washington. She is also a primary partner in Murphy CME, an educational and consulting organization that specializes in customized curriculum. Judy has taught many courses in continuing education for nurses, physicians and pre-hospital staff including ACLS, PALS, and PHTLS, paramedic and EMT education programs and a wide range of critical care topics. Joseph is a resident of Fairfield, CA who first had a relationship with Murphy Medical Transport as a client when his wife was transported to her doctor and hospital appointments. Joseph can testify to the professionalism and compassion his family received until her passing. He began his career with Murphy Medical Transport in the fall of 2015 as a Client Advocate Driver. He has a background in legal office assistance and a working knowledge of the construction/building industry. Joseph was quickly promoted to supervisor of all Client Advocate Drivers. Joseph works to assure proper procedures are followed and personnel are continually ready to provide the best possible level of customer service. He provides education and training as needed, while coordinating and supervising the day–to–day work associated with all non-emergency transport programs. Joseph assists in the scheduling of Murphy Medical Transport services, performs the duties of Client Advocate Driver as required and assures the maintenance of all equipment, apparatus and facilities. Cecil began his employment with Murphy Medical Transport in the spring of 2016, as a Client Advocate Driver. Cecil was promoted to his current position of manager as of January 1, 2017. Cecil retired as a Battalion Chief of the Modesto Fire Department after 33 years of service in 2014. 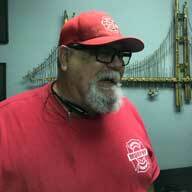 Cecil provides supervision of all Client Advocate Drivers in the Central Valley. Cecil works to assure proper procedures are followed and that personnel are continually ready to provide the best possible level of customer service. He assists with recruitment and hiring of new employees in the Stockton and Modesto areas. He provides education and training as needed, coordinates and supervises the day–to–day work associated with all non-emergency transport programs. Cecil performs the duties of a Client Advocate Driver as required to assist his team meeting their daily schedule. Elizabeth “Beth” has 12 years experience in medical record keeping for billing and coding in the scan nursing facilities. She joined Murphy Medical Transportation as the office clerk in February 2017. In a short span of time Beth began assisting in operations division dispatching and scheduling client transport. Beth is also responsible for creating and maintaining Murphy Medical Transportation’s files and records, assisting in the administration office, ordering supplies and maintains the operation of the copy machines. Beth is learning new skills to enhance her capabilities to maintain the office operations. 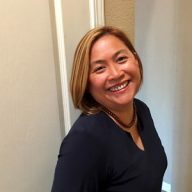 Beth migrated to the US from the Philippines in February 2002 to the San Diego Area where her first job was as a cashier at Walmart. Beth has been married to her wonderful husband for 39 years and she has three children and grand children who live on the beautiful islands of the Philippines. In Beth’s spare time she loves to cross stitch and perform “videoke” with her husband. She also loves to cook for her loved ones and she enjoys eating out and trying new and different cuisines. Our team of Client Advocate / Drivers and the administrators of Murphy Medical Transport will provide non-emergency transportation services to our clients requiring individualized assistance with their travel plans by utilizing the safest, most current specialized equipment available in the industry. We are proud of our red vehicles, and the individuals who operate them who represent service and quality beyond reproach. Murphy Medical Transport will continually provide the safest, most reliable, friendly and compassionate services to a wide variety of clientele, who require assistance with their transportation needs.